This kneehole desk was commissioned by a client who had spotted the original in a magazine article and wanted an exact copy. 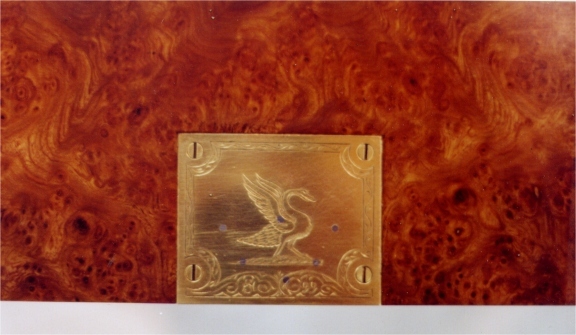 It is in burr elm with laburnum feet, cross-banding and mouldings, period brass fittings and pewter inlay stringing. Pewter stringing was a favoured technique of John Coxed who is thought to have produced the original. John Coxed (also G.Coxed and Thomas Woster) The White Swan, St. Paulâ€™s Churchyard, London. c.1700-1736. A number of labelled pieces survive, mostly bureaux, secretaires, desks. 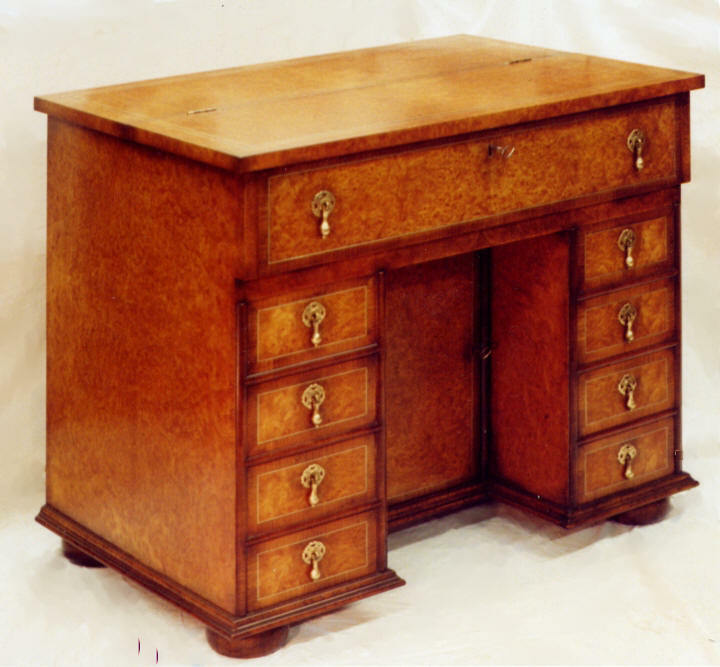 Typically veneered with burr walnut, maple or elm, occasionally stained to resemble tortoiseshell. Some pieces are cross banded in Kingwood, also pewter stringing was employed in some. The later probably influenced by Gerrit Jensen who introduced such continental features into England at the end of the 17th. century.